GFH Financial Group (GFH) said it recorded continued growth in profitability and strong performance for the financial year ended 31 December 2018 helped mainly by contribution from across all business lines and strategic transactions during the year. The board recommended a dividend of 8.71 per cent and USD 85 million (US$30m cash and US$55m bonus shares) for 2018 to shareholders. The group reported consolidated net profit of US$115 million as compared with US$103.19m from the previous year, an increase of 11.4 per cent. Net profit attributable to shareholders rose 9.5pc to US114.08m from US$104.18m in the year ago period. Earnings per share for the year was US cents 3.22 compared to US cents 3.58 in the prior-year period. Total consolidated revenue was US$246.21m compared with US$204.36m in 2017, reflecting a healthy year-on-year increase of 20.5pc. Total operating expenses were US$117.09m versus US$99.08m in the prior year, an increase of 18.2pc. For the fourth quarter, Net profit attributable to shareholders was US$10.64m versus US$16.95m in the fourth quarter of 2017, a decrease of 37.2pc. Consolidated net profit for the quarter was US$10.39m compared with US$12.15m in the fourth quarter of 2017, a decrease of 14.5pc. Total consolidated revenue was US$61.6m compared with US$41.2m in 2017, reflecting a healthy quarter-on-quarter increase of 49.5pc. Growth, according to GFH, resulted from a successfully diversified business model and solid contributions from across its investment and commercial banking, real estate and asset management businesses lines in addition to increases in other income generated through strategic initiatives undertaken by the Group. Importantly, GFH also continued to deliver on its strategy of achieving profitable exists, which for the year amounted to US$120m. The Group repaid the entire amount of a US$200m Sukuk, which was originally drawn in 2007, and achieved early payment of a Wakala facility, all of which continue to underscore its financial health and stability. 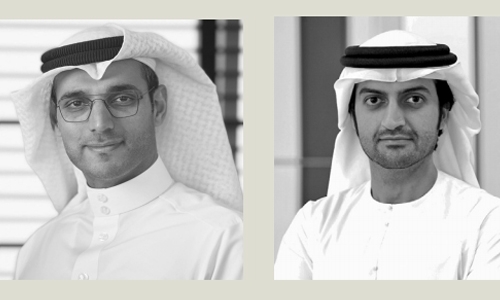 Commenting on the results, Jassim Alseddiqi, Chairman of GFH, said, “Among the strongest measures of market confidence in GFH today and over the past year was the raising of more than US$1 billion through our investment products and treasury and capital markets during 2018, which fuels further growth and investment for GFH in 2019.” Hisham Alrayes, CEO of GFH, added, “During the year, we took assets with relatively low book value and turned them into revenue generators. This includes land banks in India, Dubai, Bahrain, which provides the Group with a range of markets and classes from which we can derive benefit over the medium to longer term. Particular progress was also made on our landmark Villamar project in Bahrain, for which we acquired the majority Sukuk and are taking the development towards completion.” Looking ahead, Alrayes said the group plans to launch operations in Saudi Arabia and the UK and to establish dedicated healthcare and education platforms. “We entered 2019 with strong confidence and expectations for further top and bottom line growth both overall and from across our various business lines including greater contributions from our real estate activities,” Alrayes added.